The following information on cookie use has been made available to the user on www.meditationrelaxclub.com as a follow up to the regulations dictated by the Italian Data Protection Authority within the “Identification of simplified procedures for information and acquisition of consent for cookie use” dated May 8th 2014, in respect to Articles 15 et seq. of Regulation (EU) 2016/679 (General Data Protection Regulation – GDPR). This information was prepared and updated by Equilibrium srl, website admin and manager of the personal data collected within the website, with office registered in via delle Rose, 72 – 35037 Tramonte di Teolo PD – ITALY. 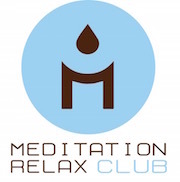 Every question in regards to cookie use within the website can be directed to the following email address: info@meditationrelaxclub.com. You may use the same email to exercise the rights that the Regulation assigns you (Art. 15 of the Regulation: for example, access, deletion, update, changes or corrections, etc. ), or to ask for an updated list of the designated data owner. Your personal data is always processed by specific people instructed by the owner of the website, and they are in no way disclosed or shared. A cookie is a small file which asks permission to be placed on your computer’s hard drive. Once you agree, the file is added and the cookie helps analyze web traffic or lets you know when you visit a particular site. Cookies allow web applications to respond to you as an individual. Overall, cookies help us provide you with a better website, by enabling us to monitor which pages you find useful and which you do not. There are two main types of cookies, with different characteristics: technical cookies and profiling cookies. Technical cookies are necessary to keep a website running correctly and enable navigation; without them, pages or certain functions may not be displayed. For example, a technical cookie is necessary to keep the user connected throughout all of his navigation experience, or to memorize language settings, visual settings, and so on. Cookie analytics, which are technical cookies only when used by the website admin to gain information, in a collective manner, on the number of users that visit the website, and on the way they use it. Functional cookies, which allow the user to navigate the website under selected criteria (for example, language, or keeping chosen products in a shopping cart), which give a better experience and fruition of the website itself. Profiling cookies are more complicated! These cookies have the task of profiling the User and are used to send advertising messages in line with the preferences shown by the User himself. Our website uses technical cookies which allow our website to function the correct way, such as Google Analytics. Google Analytics is a web analysis service provided by Google, which works through the distribution of cookies on your terminal, with the end goal of collecting anonymous statistics. These cookies can be sent by the service provider, but are used exclusively for matters regarding the website. If you prefer Google Analytics not to use any of the data collected, you can change your browser’s settings to do so. You can access the settings through the help menu of your browser, which will allow you to know how to change your cookie configuration choices. Google Analytics cookies can also be refused by following this procedure, as shown by Google (https://tools.google.com/dlpage/gaoptout?hl=en). By not refusing Google’s cookies, you implicitly consent the processing of User data on Google’s behalf, under aforementioned uses and purposes. To consult privacy information regarding Google Analytics’ service, please visit the relevant website. Interaction with external social networks and platforms. This type of services allows interaction with social networks or other external platforms directly from the pages of this Application. Pinterest “Pin it” button and social widgets (Pinterest). The Pinterest “Pin it” button and social widgets are services allowing interaction with the Pinterest platform provided by Pinterest Inc.
. The Twitter Tweet button and social widgets are services allowing interaction with the Twitter social network provided by Twitter, Inc.
. The Google+ +1 button and social widgets are services allowing interaction with the Google+ social network provided by Google Inc. Displaying content from external platforms. This type of services allows you to view content hosted on external platforms directly from the pages of this Application and interact with them.
. Spotify is an audio content delivery service provided by Spotify AB that allows this Application to incorporate content of this kind on its pages. Our website can be used even in the event you choose to deactivate the profiling function. To opt out permanently, the browser must accept permanent cookies. If your browser does not accept permanent cookies, opting out permanently is not technically possible. Please use your browser’s features to disable monitoring (see www.allaboutcookies.org for more info about that). To delete cookies from your smartphone or tablet’s internet browser, please refer to the device’s user manual. The Owner processes all User’s Personal Data adopting the necessary security measures, apt to deny access, sharing, changes and unauthorized distribution of Personal Data. The processing is carried out through IT and telematic tools, with organizational methods and logic correlated to their final use. Other than the Owner, in some cases, certain delegated categories may have access to the Data (administrative, commercial, marketing, legal and system admins), or external subjects (third party technicians, postal services, hosting providers, IT companies, communication agencies) also appointer, if necessary, as responsible for the Data Processing on behalf of the Owner. The updated list of people in charge of the Data can always be asked to Data Processing Owner. The User’s Data is collected in order to allow the Owner to provide his services, as well as the following purposes: Navigation Statistics and User contacts. The types of Personal Data used for each purpose is specified in different sections of this document. The collected data will be stored for 10 years, after which it will be destroyed. The User’s Personal Data may be used by the Owner to defend himself in court or in the stages prior to a court proceeding, from abuse derived from use or service related to the User. The User declares himself aware of the fact that the Owner may be required to reveal the Data by public authorities. For needs related to the running and maintenance of this Website, the Website and any third party services used by it may collect System Logs, which are files that record User interactions, which may also contain Personal Data, such as the User’s IP address. More information related to the processing of Personal Data may be requested at any time to the Data Owner by using the provided contact information. The subjects to whom the Personal Data refer have the right at any point in time to obtain confirmation of the existence or non existence of said Data by contacting the Owner, to know its content and origin, and to verify the correctness and ask for its integration, deletion, update, rectification, or transformation into anonymous form or Personal Data block processed in violation of the law, as well as to oppose in any case, for legitimate reasons, to their processing. Request should be addressed to the Data Owner. The Data Processing Owner is Equilibrium SRL. The list of possible Data Processors can be requested to the Owner. Personal Data will be processed exclusively for reasons related to the institutional purposes of the writer, dictated on legal obligations, including the adoption of security measures. Personal Data may also be processed for informational purposes regarding promotional and training activities promoted by the writer, including email newsletters and/or fax and/or surface mail. For this specific processing, a further explicit informed consent will be requested at a later date. Personal Data will be processed manually or with automated tools, stored for the aforementioned duration and eventually destroyed. Providing Data is obligatory in order to benefit of the Website’s service, and its refusal implies the possibility that the writer may not provide the service or product requested. Personal Data will not be disclosed to third parties but may be disclosed to customers, suppliers and public authorities for the fulfillment of legal obligations. The data will be stored within the European Union. The parties enjoy the rights ensured by art. 15 of EU 2016/679 Regulation, which may be exercised by a specific request to the Data Owner.